Period: November 2015 — May 2016. Why doesn’t online advertising work? Sometimes it’s not about the advertising campaign settings. Online advertising just drives a user to a website. And the key factor which affects a number of orders and sales is the site itself. This case tells about a client who changed his primary expensive (but not very efficient) website to a pretty good one-pager site and managed to achieve the desired results from online advertising. 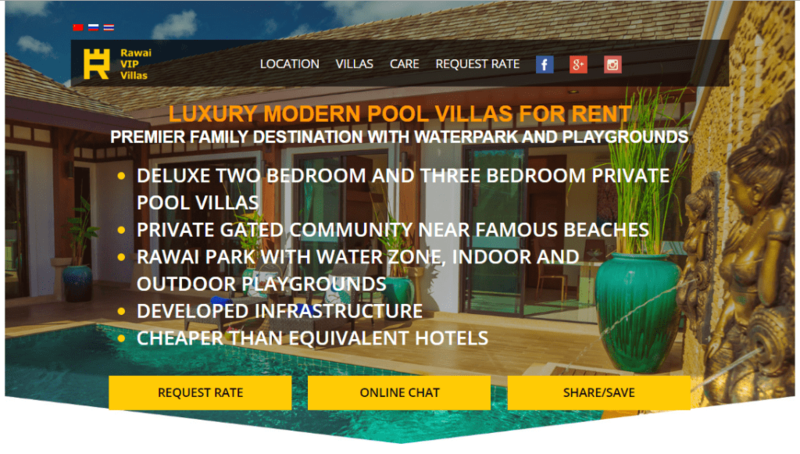 Rawai VIP Villas is a website which allows the travellers to book villas in Thailand. The key goal of the client was to get as many bookings as possible for a price which didn’t exceed $15 from residents of different regions: Australia, Britain, Russia, Singapore, etc. But we faced the problem right at the first stage - the site speed was low, and the process of leaving an application was complicated. This was pushing most users away..
Advertising campaigns led to the website old version. Booking confirmation was available only on the prepayment basis via PayPal. There was no leads collection form. Realizing the complexity of the website, the client asked to make recommendations for its optimization. 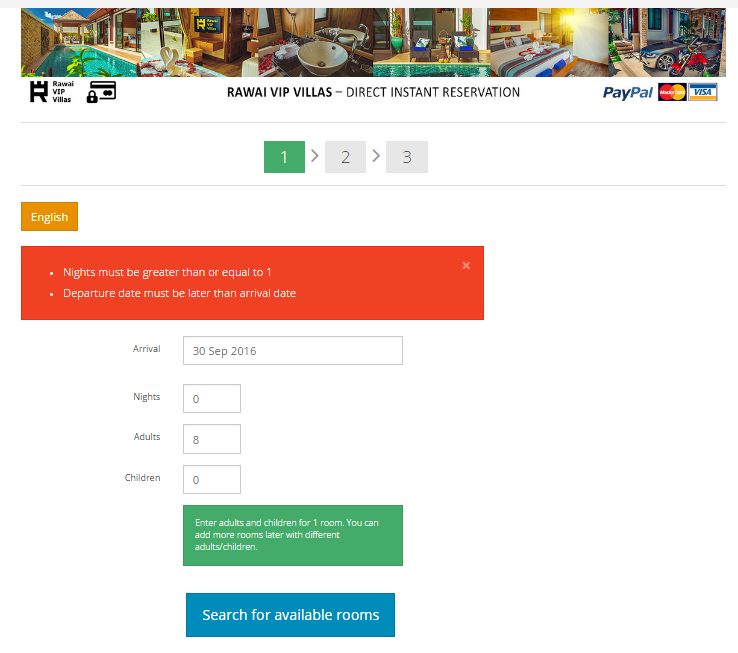 Advertising campaigns led to the updated website version: they added a button and the popup window which offered to get booking prices to emails of the customers. So the leads collection began. However, the website was still not efficient enough, so we decided to try a new approach. 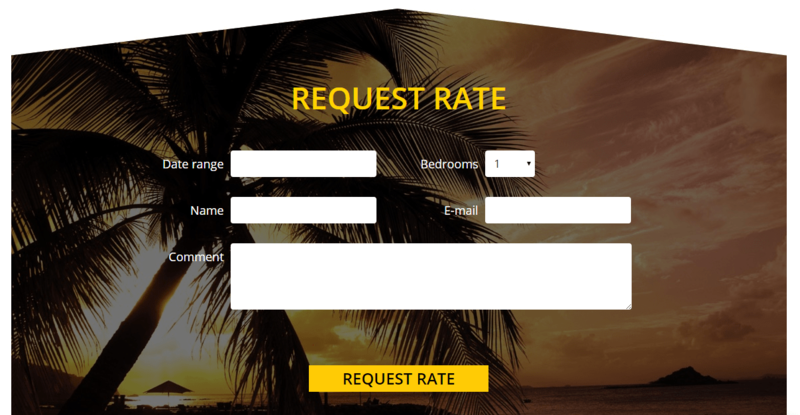 On March 29, the client launched a one-pager focused on collecting booking price applications. As a result, the website became easier and faster. Why? Landing page wasn’t overloaded with booking functionality. Users weren’t distracted by pages of the resort area peculiarities. One more important thing. To fully control the effectiveness of online advertising, we implemented the transfer of user data to the web analytics system. 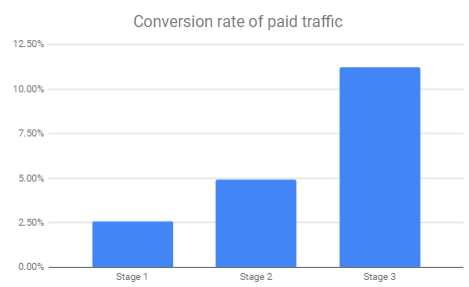 This allowed us to compare real sales, made through the personal communication with a manager or directly from other devices, and the initial source of traffic — CPC. Advertising was targeted at more than 12 countries. The best CPL results were achieved by Russian-language campaigns targeted at Russia. At the same time, there was an English version of the landing page for other regions, but CPL was above the target one due to the high cost per click. The conversion rate from the paid traffic to the booking page was 2.6% when the website was slow. The conversion rate of that same site with an offer to receive the booking price to the email address was 4.94%. One-pager showed an excellent result — 11,24% — since it allowed a user to focus on the target action and not to be distracted by unnecessary details. To make advertising campaign efficient, you have to do more than just clicking on the «buy organic traffic» button. It is necessary to implement a set of measures suggested by specialists, including the website improvement recommendations. If the site you promote has low usability level and makes the purchasing process exhausting, think of changing its format. Don’t hold on to the old website version. Quality landing page won’t disperse user’s attention but will focus him on performing the targeted actions. the cost per conversion decreased even below the desired level — up to $13.73. We were especially pleased that the client showed initiative in improving the old website, asked for advice on replacing texts, page elements or entire pages and properly implemented the recommendations of specialists. The article was written in co-authorship with Tania Kichuk.